Before the iconic book series became a film series, we relied on our imaginations to illustrate Harry’s story. Early Harry Potter merchandise, pre-movie merchandise, shared a lot of the same characteristics with the first cover of Harry Potter and the Sorcerer’s Stone: a brick wall, warm colors and a charming depiction of pieces of the story. Today, I’m sharing with you some of my favorite pre-movie merchandise – some beloved items that have now inevitably ended up in my cart on Amazon. Before the Harry Potter version of Clue was released there was Mattel’s version: Harry Potter Mystery Board Game. While it’s set up and played just like Clue, there are several editions each bearing the name of the first few Harry Potter books. The Harry Potter and the Sorcerer’s Stone version. I find the most appealing, not because it’s my favorite book, but because of the imagery on the game’s cover. Like the book cover of Harry Potter and the Sorcerer’s Stone, the colors are warm, the iconic brick of the book’s cover is mirrored in the roof’s tiles on the game and it reminds me of my excitement of picking up Harry Potter for the first time. There is also a Diagon Alley game available in which you have to get all of your school items. Harry Potter for PC is a piece of technological gold, if you ask me. The original, and better, “Hogwarts: A Mystery,” Harry Potter PC games allowed you to enact Harry’s years at Hogwarts. From dealing with Peeves to practicing spells on malicious slugs, this game has everything a Potter fan could want in a game. Personally, I owned the one for the Sorcerer’s Stone and it was quite the sad day when the disk started skipping and stalling the game. You can find that one as well as the Chamber of Secrets on Amazon. If you’re feeling extra ambitious, you can also purchase the entire set. My favorite part about early Harry Potter puzzles was that the image wasn’t of Hogwarts. While the outline of Hogwarts is very iconic and a beloved sight to all Potterheads, it’s no secret the image has been overused. Older puzzles show images of Harry and Hermione riding Buckbeak and the Basilisk. Even the book specific puzzle for Harry Potter and the Sorcerer’s Stone is of an unusual scene: Harry and Hagrid riding in a mine cart in Gringots. 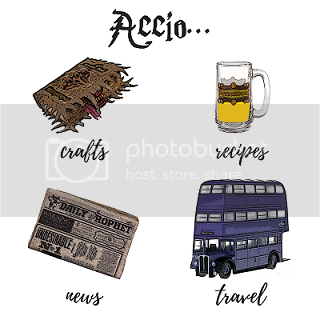 They’re not too steep in price like much of older Harry Potter merchandise and would make a great gift for a fellow Potterhead. And what compilation of early merchandise would this be without some miscellaneous knick knacks? These collector’s stones came in threes and featured icons from Norbert to Ravenclaw. You were truly lucky if you were to find the coveted Golden Snitch Stone. Finally, let’s throw it back to elementary school when erasers of all different types were prevalent in our desks. This Harry Potter and potion bottle eraser set would have surely been seen at least once. Anyone else weirdly miss the days when you had piles of these erasers stashed in your desk and pencil case? Did you own any of these items as a young Potter fan? What was your favorite collectible you had as a child, or that you still have in your collection? Drop a comment below and let me know! That must have been heartbreaking! 😭 I’ve seen those old mobiles, they’re really neat! !